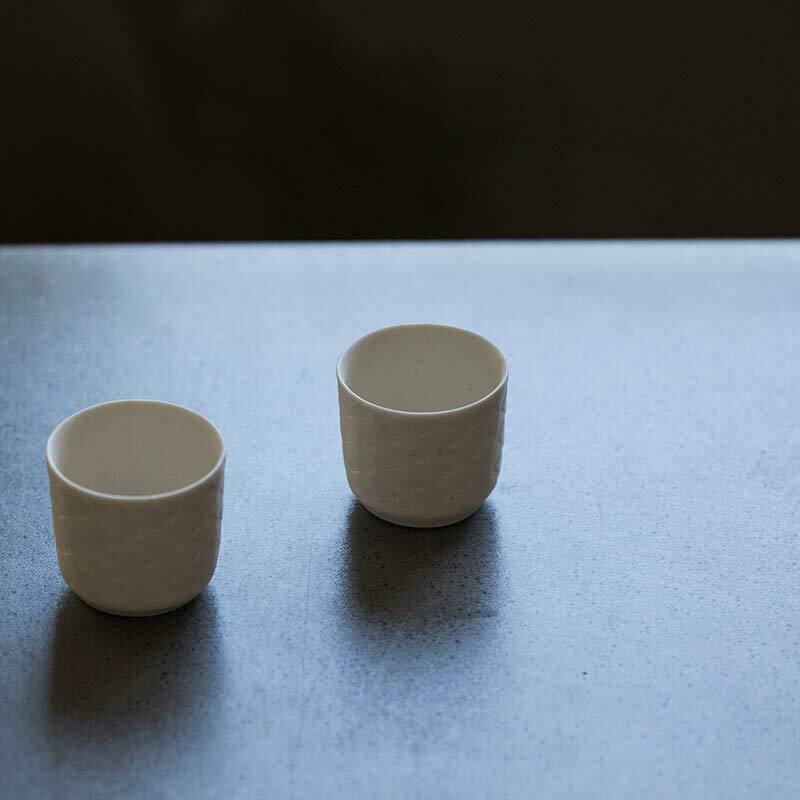 These teacups are handmade by an artist in Jingdezhen. 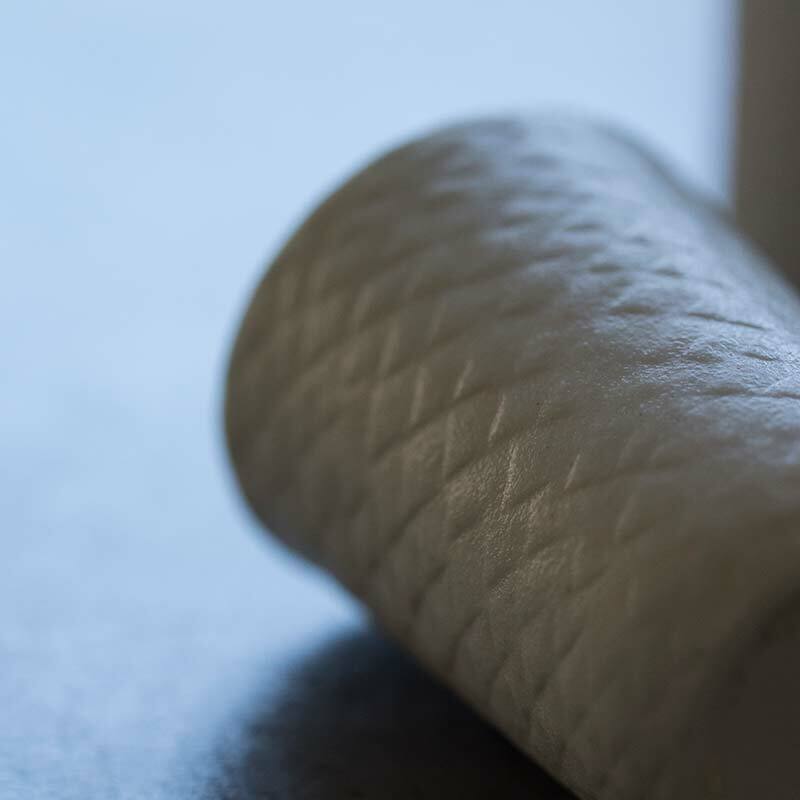 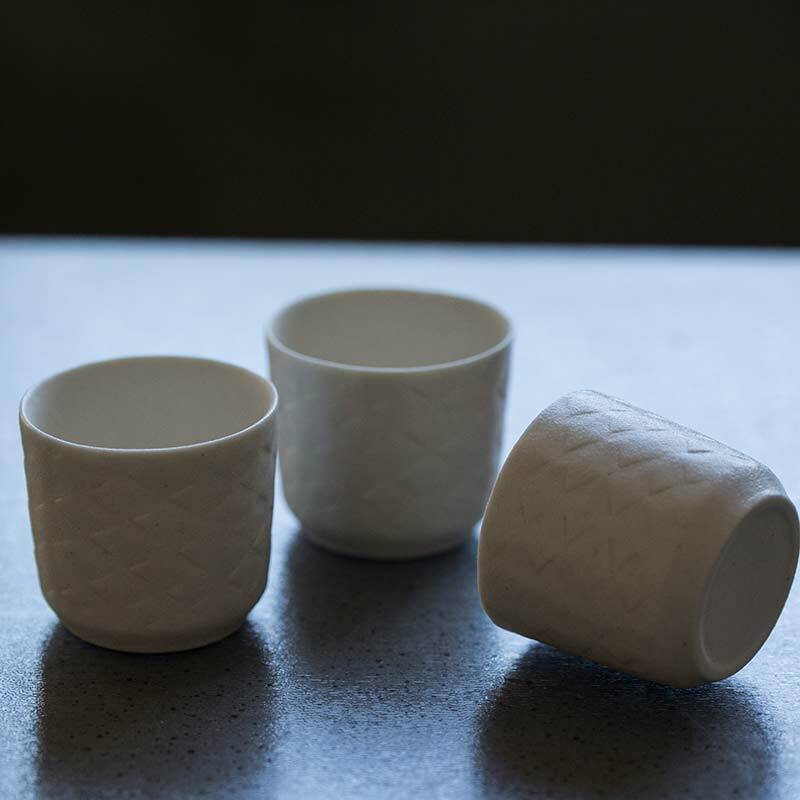 They feature a simple style that employs a proprietary chalky-matte white glaze. 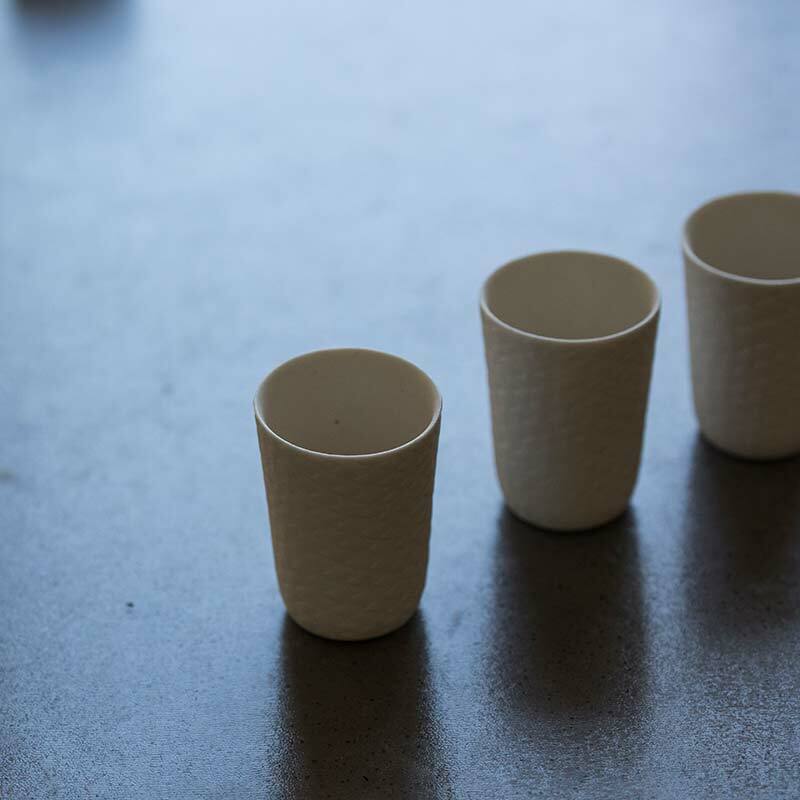 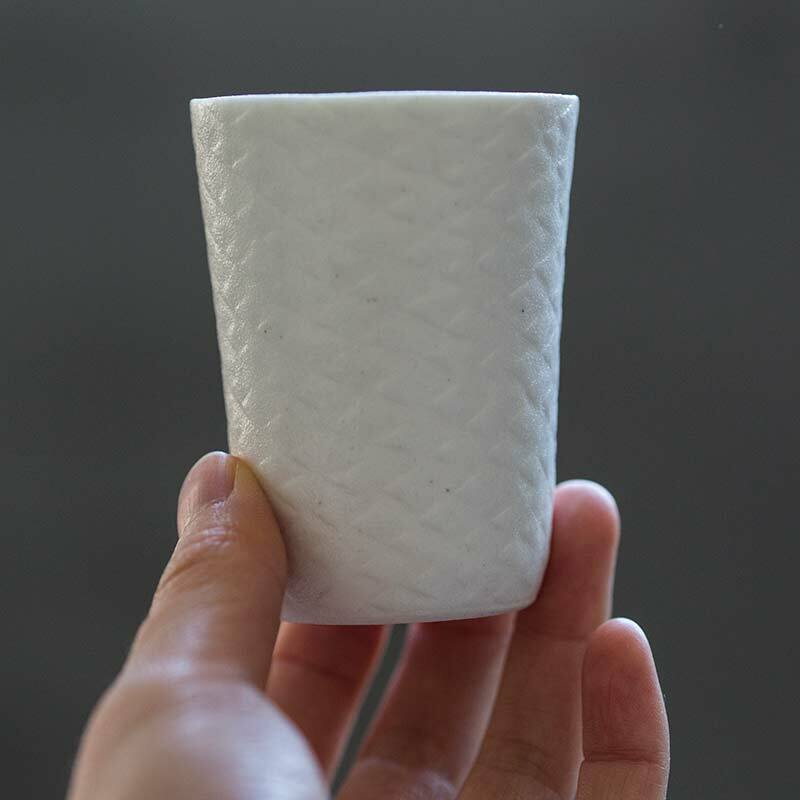 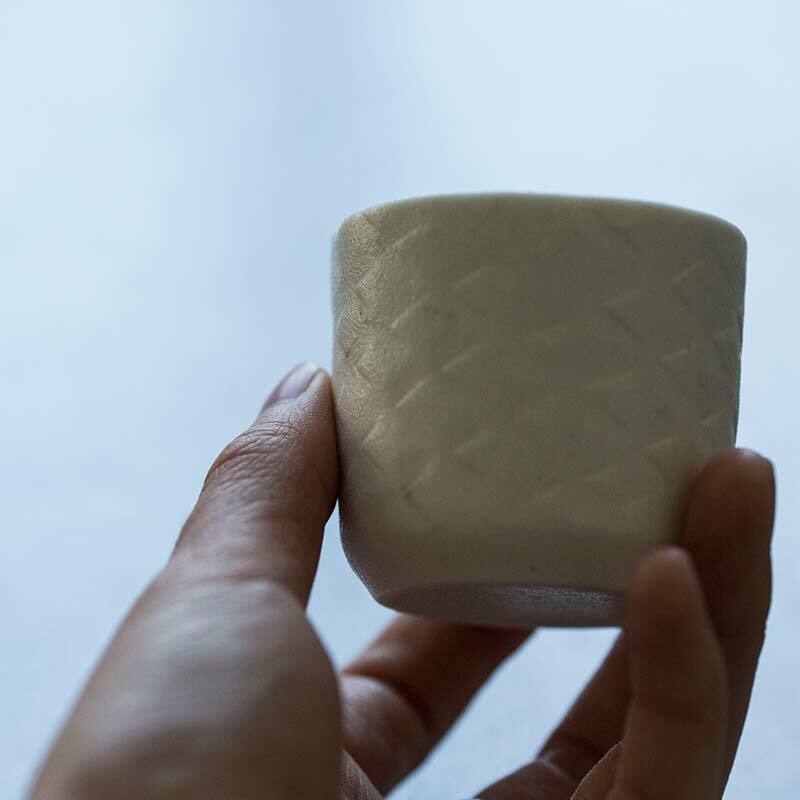 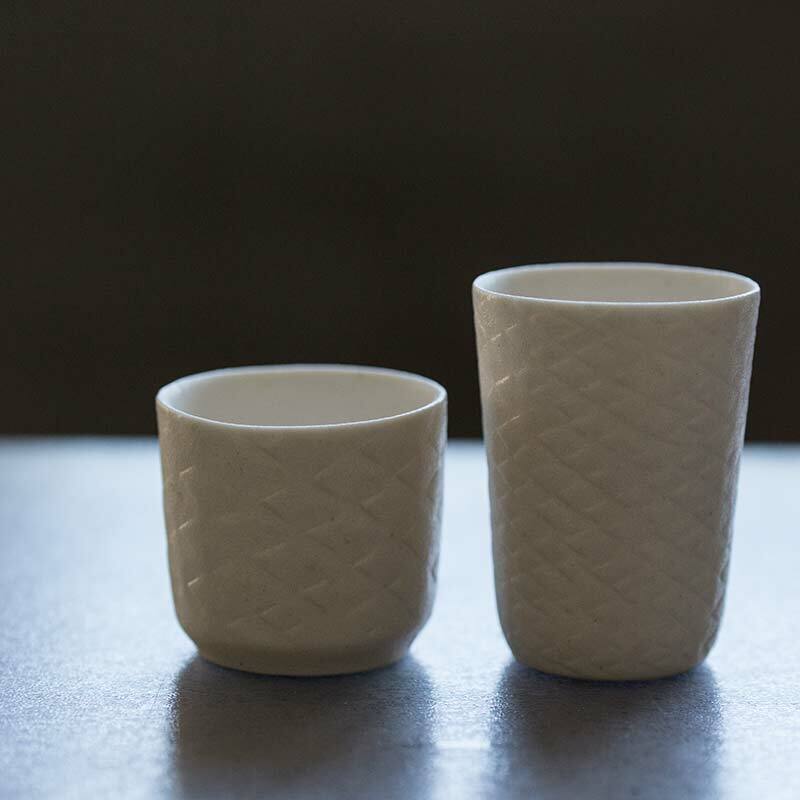 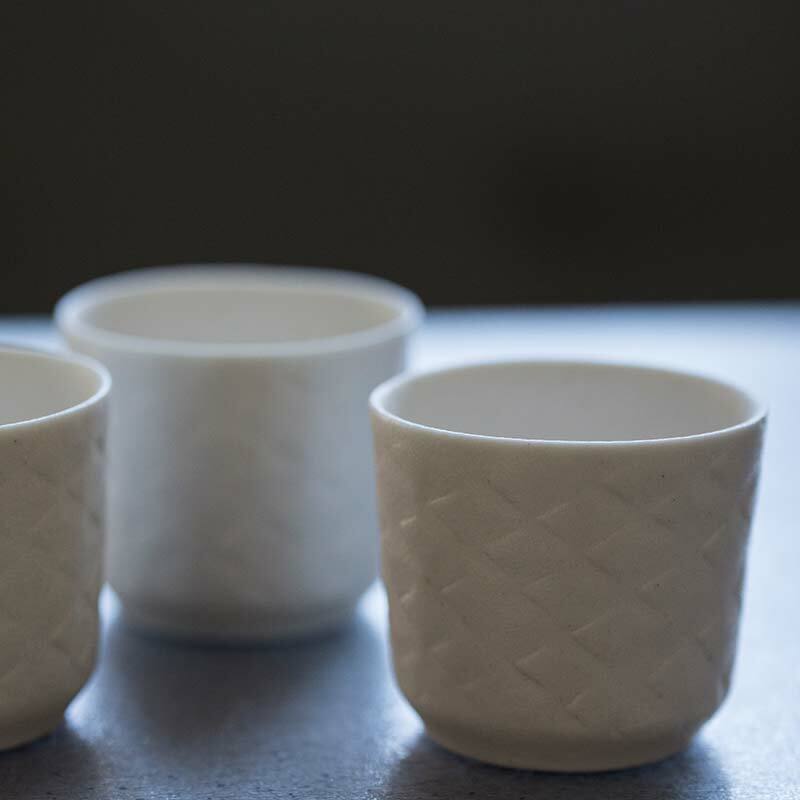 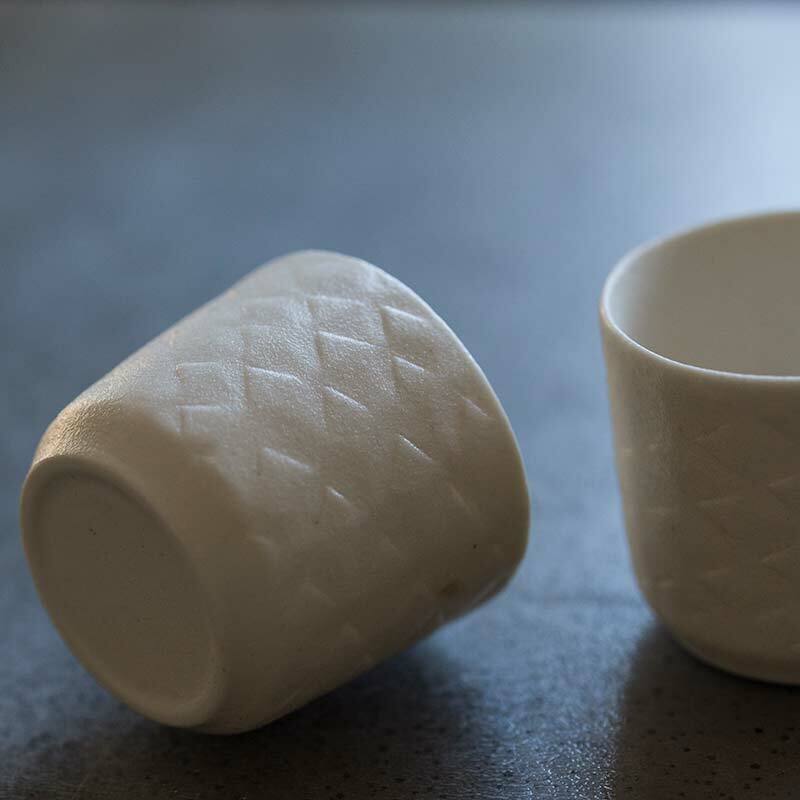 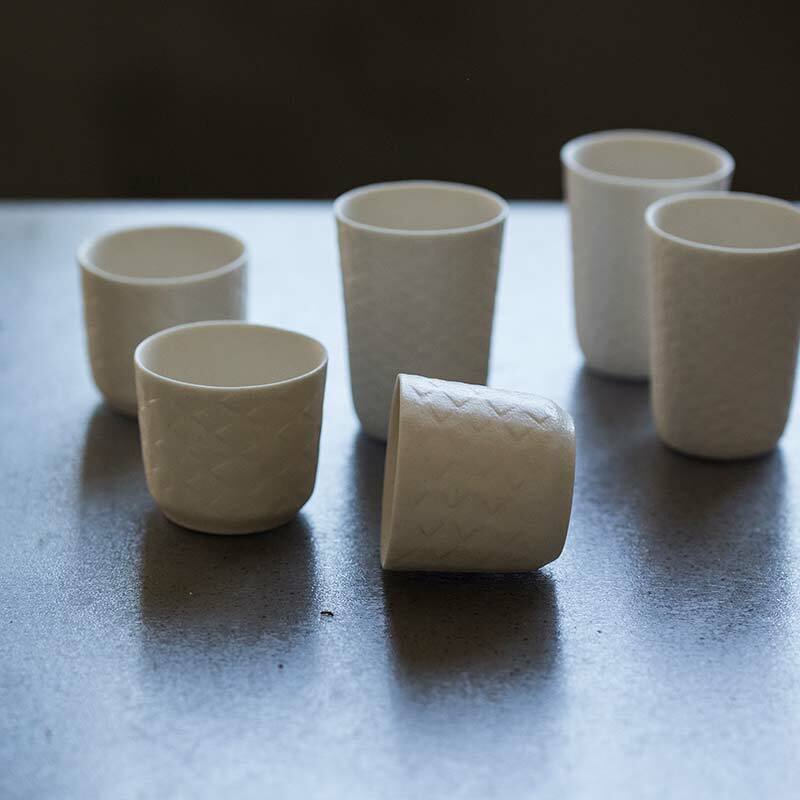 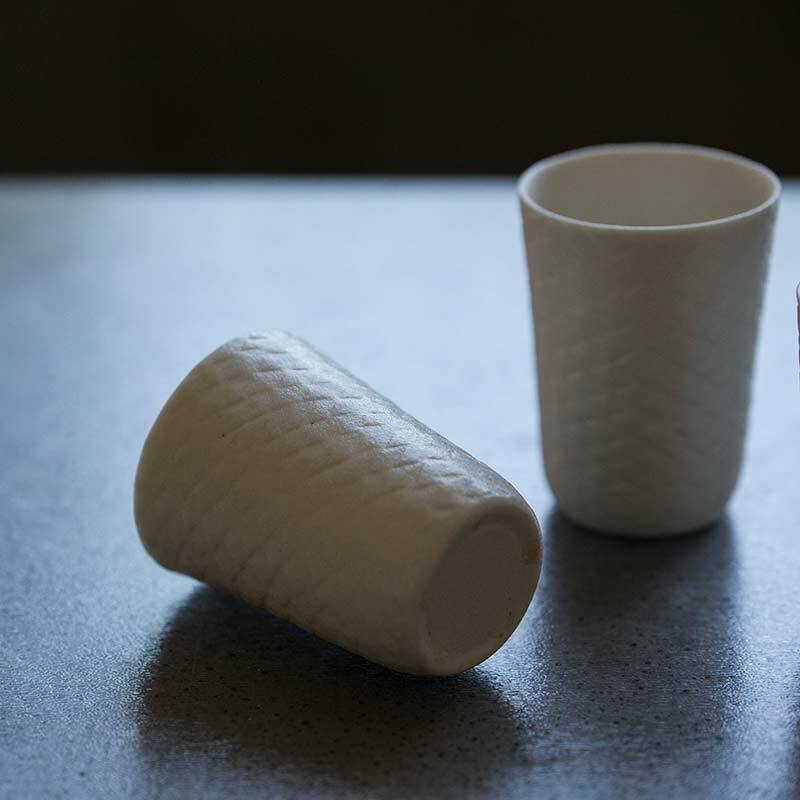 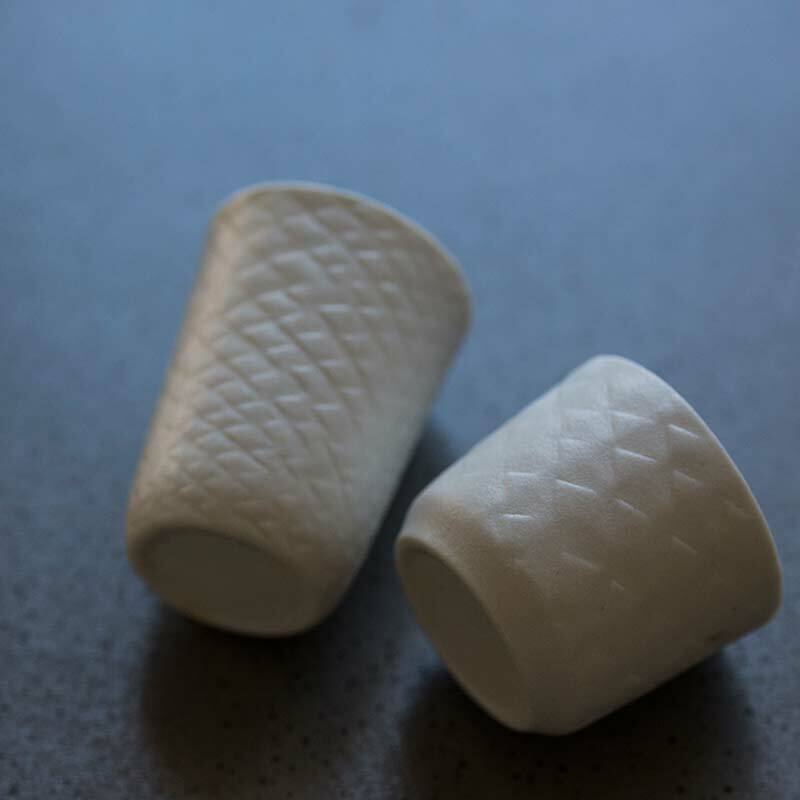 These hand-formed cups have an emphasis on form and feel, and hold approximately 70-75ml of liquid.